sina.com.cn seems to be up and working at the moment with no reported errors. No one seems to have reported problems with sina.com.cn within the past 24hours. If you can't reach it you can help others know below or by writing a comment to describe your problems. Are you having problems with sina.com.cn? Feb. 21, 2019, 4:16 a.m. Feb. 21, 2019, 4:32 a.m.
Jan. 22, 2019, 4:24 a.m. Jan. 22, 2019, 5:02 a.m.
Nov. 6, 2018, 6:57 a.m. Nov. 6, 2018, 7:17 a.m.
Aug. 27, 2018, 7:33 p.m. Aug. 27, 2018, 8:07 p.m. If sina.com.cn doesn't have any reported problems, and seems to be up, you can troubleshoot common problems that you might be facing. Go to sina.com.cn and wait for the "problem loading" page to show. 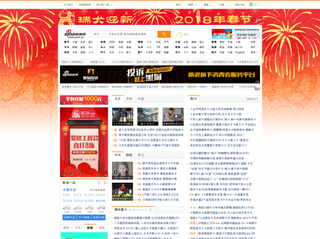 Try opening sina.com.cn in another browser than the one you're using. Some ISPs (Internet Service Provider) block sites like sina.com.cn due to various reasons. You can try accessing the page by surfing through a VPN (Virtual Private Network).